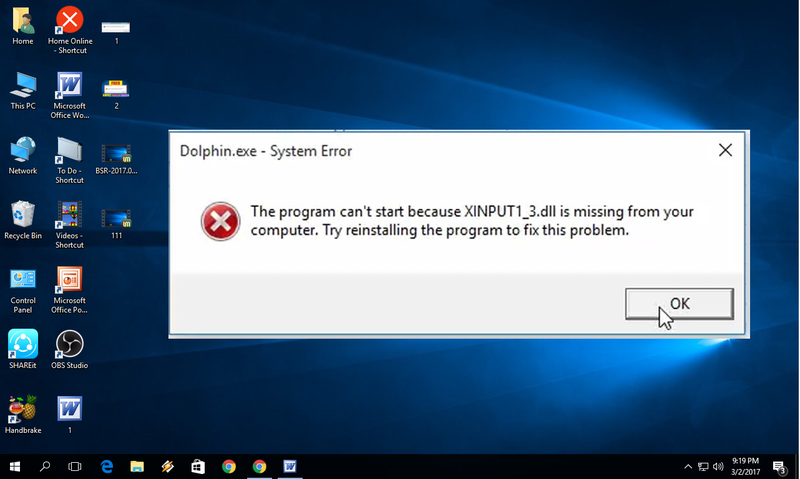 “Xinput1_3.dll missing error” this error mostly happen while playing games, it has typical look but easy to fix, just pressing OK button its not a solution, this error occur because of directx not installed in your machine, if you are facing this type of error in window 10, 8.1 or 7 than you should try these easy two methods before do any hard work. 1. Open google in any browser type and search for “download directx” open the first link download the directx and install it, if this not work follow the second steps. 2. Open google search for “Xinput1_3.dll for windows 10” open the first link download this tool and install in your pc, after installed restart the pc, hope this will fix your issue.